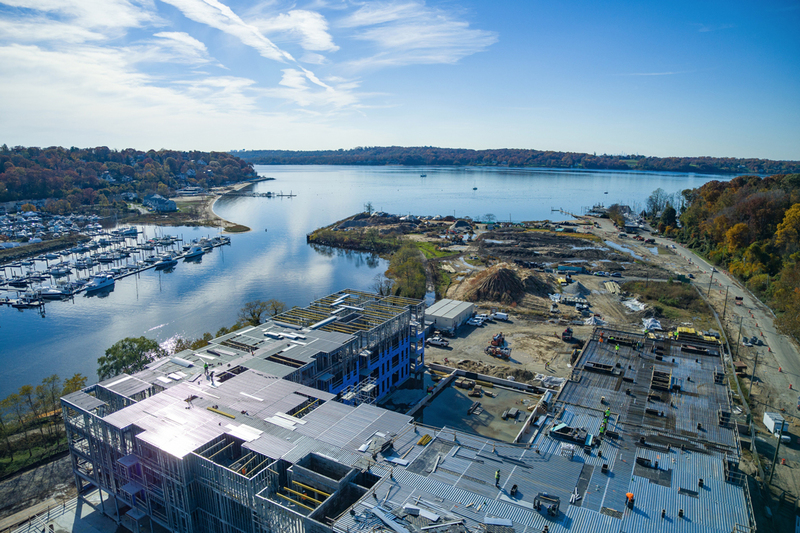 The Beacon at Garvies Point in Glen Cove, New York is part of Long Island's most exciting real estate development. 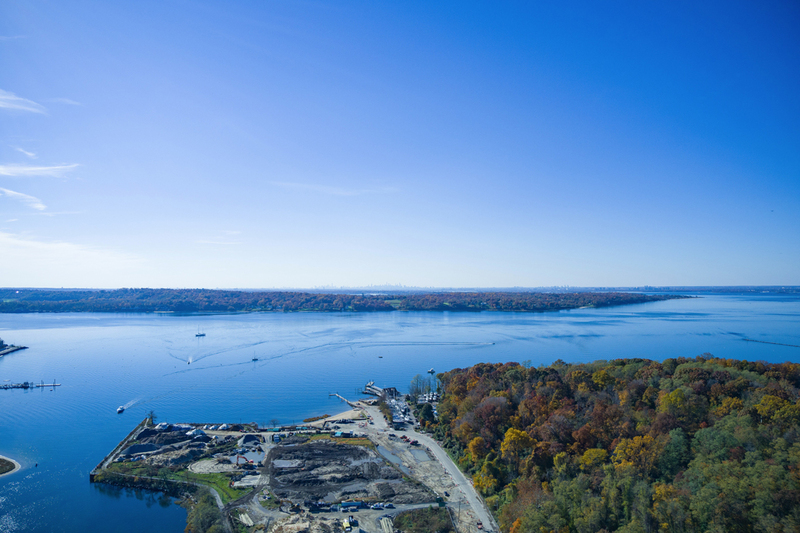 The $1 billion waterfront project features 28 acres of open space with activities on land and sea and important infrastructure upgrades to the area. The project is scheduled to complete construction in 2019. Here are some photos of the work in progress from the Fall. 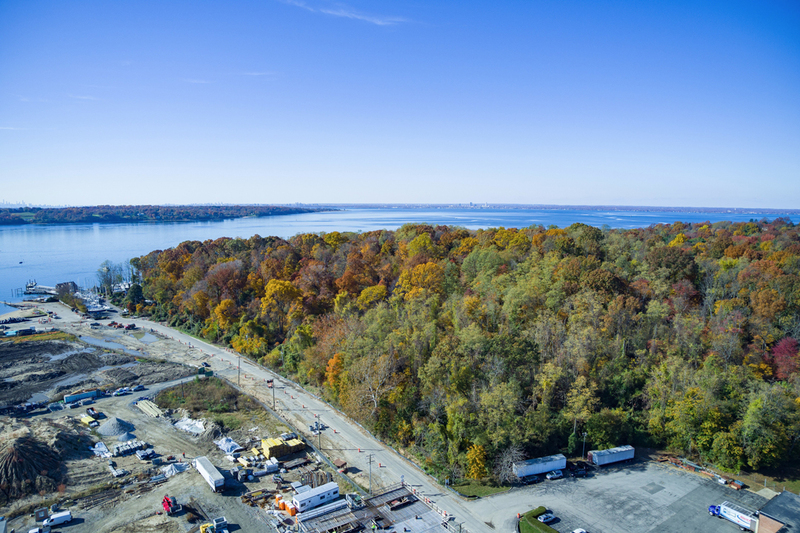 Looking west across The Beacon's 56 acre property, where our construction teams are hard at work, it is easy to see how connected this neighborhood is to its natural surroundings. With over a mile of waterfront and 28 acres of open space dedicated for public use, life at The Beacon will truly be a life lived on point. And ships ahoy! Maritime enthusiasts will love living at The Beacon. 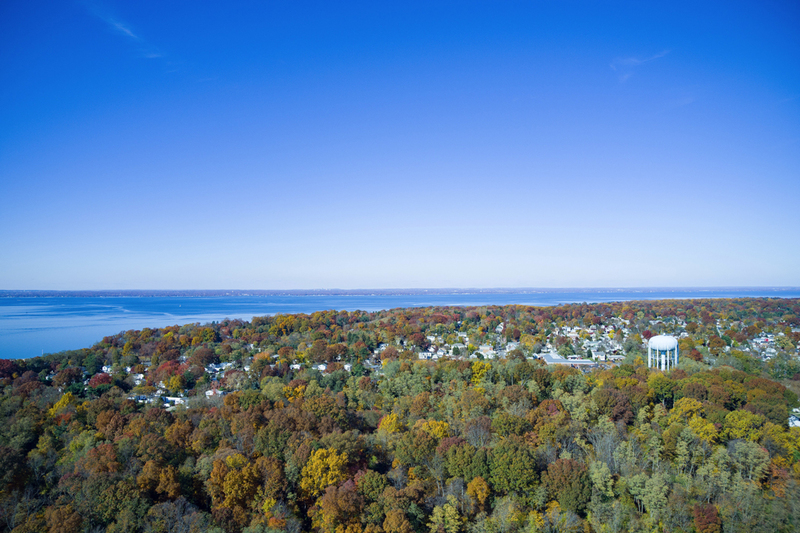 Many of the condominiums feature water views and with the Glen Cove and Sea Cliff Yacht Clubs adjacent to the property, you will never be far from an aquatic adventure. Outdoor enthusiasts will love the proximity to Garvies Point Preserve, seen here at right. With 62 acres of forests and meadows, miles of shoreline and 5+ miles of hiking trails, the preserve is just moments away from The Beacon. 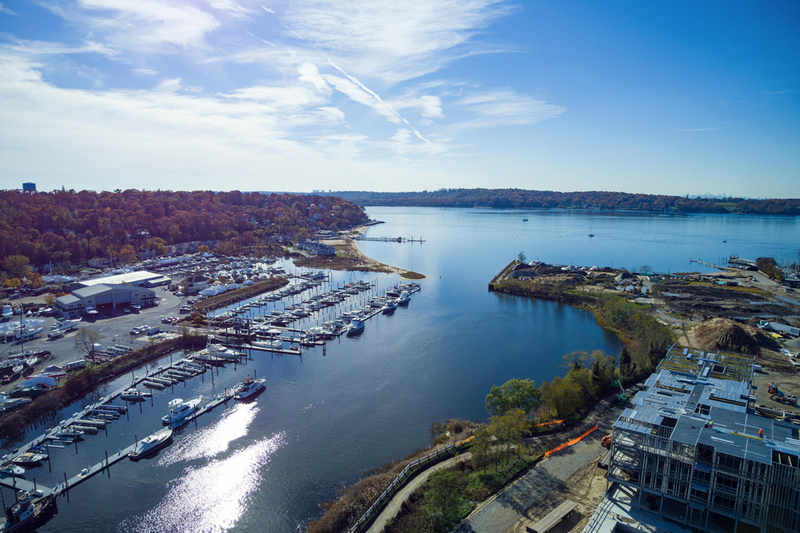 While tranquil views like this will make living at The Beacon idyllic, the proximity to a high speed ferry to midtown Manhattan will make it extraordinarily convenient for commuters. The ferry terminal, the white tower seen here at left, was completed in 2017 and will be ready for passengers in 2020. 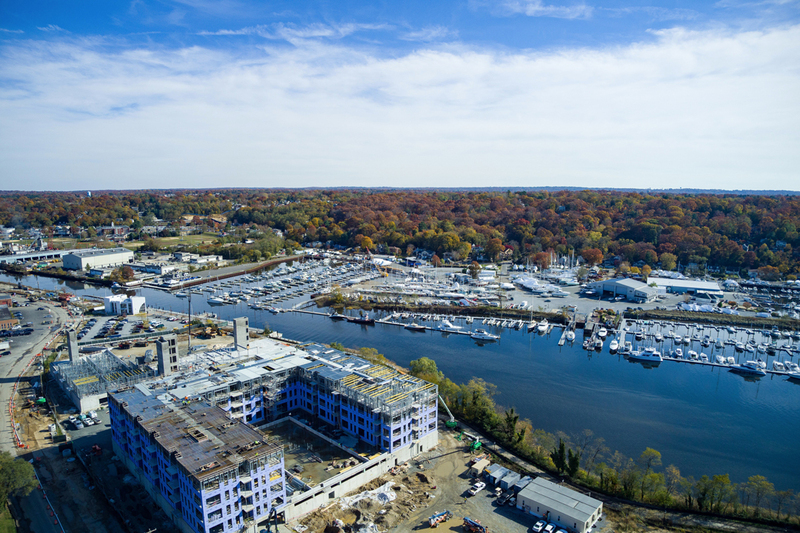 The Beacon is a hive of activity, with construction teams working on every facet of the development, from the roof, seen in the lower right corner, the parks, in the upper right hand corner, to laying out the future 1 mile long esplanade, seen here at center, along Glen Cove Creek. The esplanade will connect the development with adjacent parks (including Garvies Point Preserve) and feature water access and an ecology pier. Special amenities at The Beacon will include an outdoor pool and sundeck, seen here under construction on the lower right. 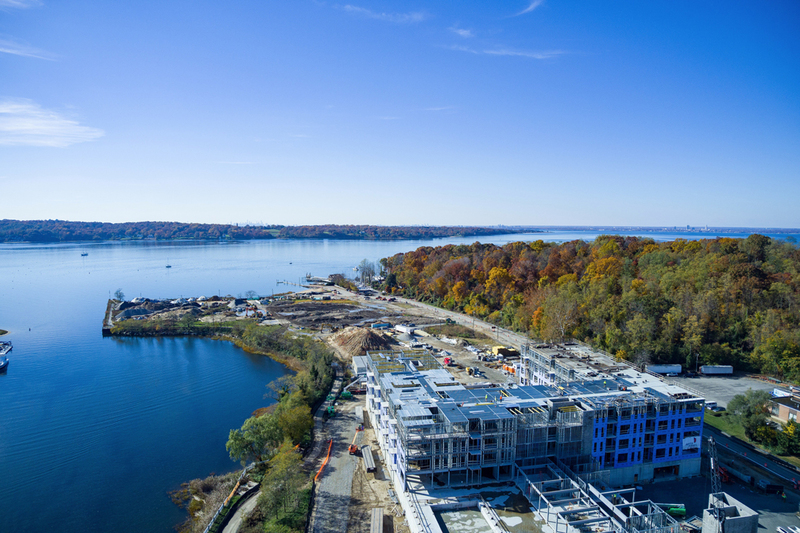 Taken together with miles of walking paths, a bike trail and ample access to beaches and parks, it is easy to see how serene this neighborhood will be. The Garvies Point Preserve, seen in the foreground here, is home to over 140 species of birds, 40 types of trees and plenty of old-growth hardwood. It provides a peaceful and relaxing buffer from the hustle and bustle of central Glen Cove. Gorgeous morning light illuminates vertical construction at The Beacon and its future parks and open spaces. Looking southwest, you will see the beach and Sands Point Preserve just across Hempstead Bay. 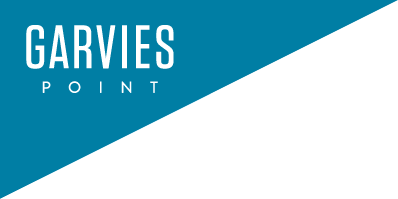 Learn more about living at Garvies Point by visiting our Welcome Center. We are open 7 days a week.